My name is Zak Bohte and I am honored to be serving as your State President for the 2018-2019 school year. I am a senior at New Berlin West High School. Ever since joining SkillsUSA my freshman year, I’ve been amazed at the work our organization does to promote not only CTE, but soft skills and career readiness. In the past, I’ve competed in Related Technical Math, Photography, and Promotional Bulletin Board and was able to compete at the 2017 National Conference. Outside of SkillsUSA, I am very active in my school’s music programs such as marching and concert band, orchestra pit, and symphony. I have also been accepted into the Milwaukee Symphony Orchestra’s Senior Symphony for the 2018-2019 season. After graduating, I plan to attend a 4-year university to pursue a career in engineering. 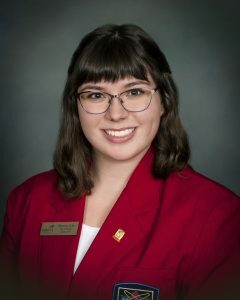 My name is Breanna Kluz and I am serving as your 2018-2019 State Vice President. I am a senior at Oshkosh North High School and this is my sixth year in SkillsUSA. I have enjoyed participating in many events such as Job Interview, Facilithon, and Pin Design. Outside of SkillsUSA, I am involved in Linkcrew, stage society, and Communities, a project-based learning program. I plan to pursue a career in elementary education to follow my passion for working with children. 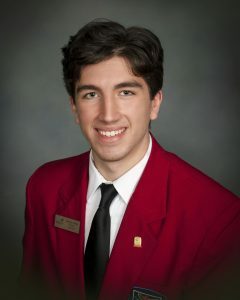 I am honored to be representing SkillsUSA and look forward to meeting you! My name is Shong Lee and I am your 2018-2019 State Reporter. I am a senior at Green Bay Southwest High School. SkillsUSA has had a big impact on shaping my high school courses and what I want to do after I graduate. After high school, I am enlisting in the military. I want to sign a four year contract with the Marines then go to school for my bachelor’s degree before becoming a Marine officer. 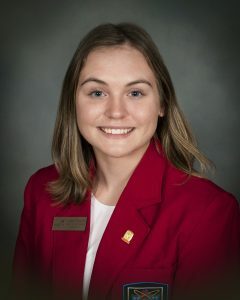 My name is Carrigan Hurst and I am currently serving as your District 3 Vice President. This year, I am a senior at Little Chute Career Pathways Academy. A big part of my life is club involvement. I have been in SkillsUSA and Key Club since my freshman year and NHS since sophomore year. Outside of school, I spend most of my time practicing, performing, and teaching baton and dance. In the future, I hope to obtain a degree in biochemistry to become a researcher and find better solutions in mental and physical illness. My name is Brendan Franch. I am a senior at James Madison Memorial High School and am currently serving as your District 4 Vice President. 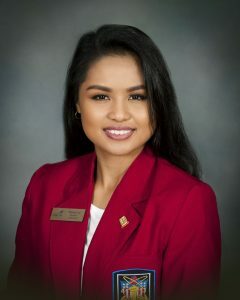 I have been in SkillsUSA for three years and as a second-year state officer, I plan on digging in deeper in our chapter excellence program and bring out some of the smaller local chapters. After high school, I plan on going to Madison Area Technical College for automotive service and am currently going through a youth apprenticeship program at Don Miller Subaru. Apart from SkillsUSA, I race on my high school’s ski team and go to various car shows in my 2006 EJ20X swapped Subaru Legacy. I can’t wait to see all of you again this year! My name is Marvell Reed and I am serving as your 2018-2019 District 5 Vice President. I am currently a senior at Barack Obama School of Career & Technical Education. 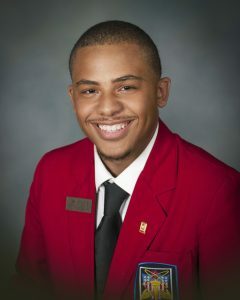 This will be my second year as a SkillsUSA member and I have competed in Job Demonstration. In my spare time, I like to volunteer at Penfield in Milwaukee. After high school, I would like to attend UW-Milwaukee to study political science and help SkillsUSA legislatively if I can. My name is Audrey Williams and I am a senior at Necedah High School. 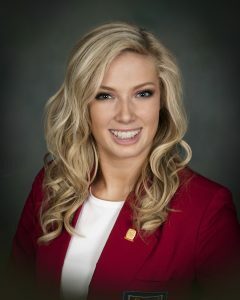 I am proudly serving as your District 6 Vice President. I own my own baking business and spend a lot of my free time trying out new recipes or spending time with my family. In the future, I want to go to school for mechanical engineering and I love that SkillsUSA helps me prepare for the workforce. I can’t wait to meet all of you this year!